Since its already heading into the first week of 2016 I thought I’d better hurry up and publish this post, but first some housekeeping: our New Years Sale Starts this Tuesday 5th January with reductions on many lines. Check out our home page from Tuesday and there will be a direct link to the sales page. In January/February we got the notion that it might be a good idea to open a fabric shop – or at the very least it would give me a chance to try out my pipe dream of having a fabric shop and get it out of my system. I registered my business and got my domain all set up in March / April and set to work trying to figure out WordPress and websites in general – that was a steep learning curve but I am slowly getting there (more or less). 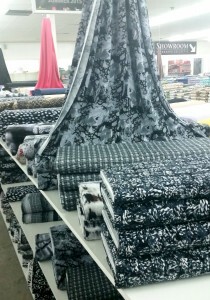 At the end of June we visited some wholesalers and settled on what fabrics we would start off with. 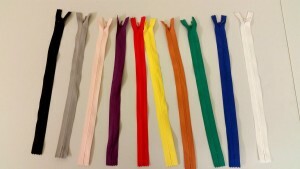 By the end of July we had the fabric back at our workshop and on the website and we went live. 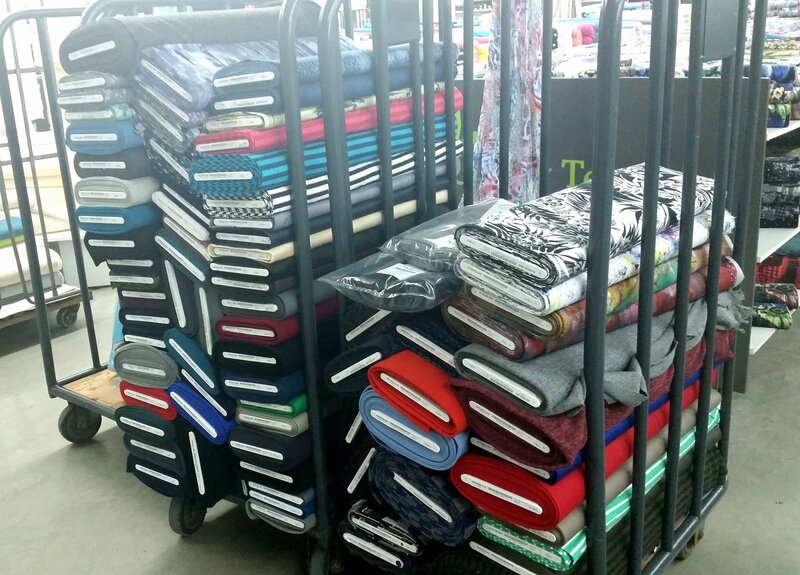 Since then a lot more fabric has been sourced based on what you – our customers were buying and looking for. 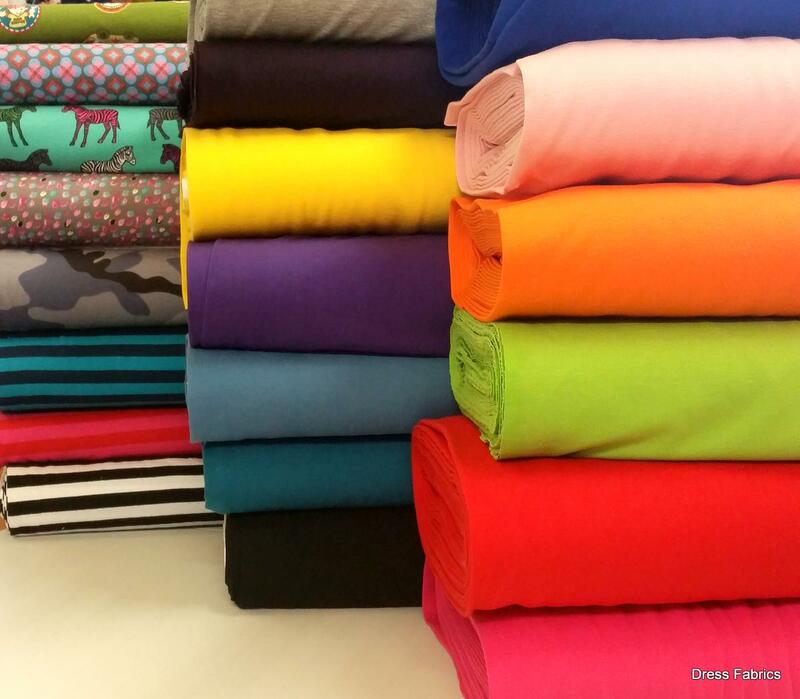 We have increased our range of colours in all the fabric lines however cotton jerseys has been the most popular to date and we have increased our range to include a lot of plain colours and as many different prints as we can find. To get out and find people we attended a few Craft and Christmas Fairs since we started. 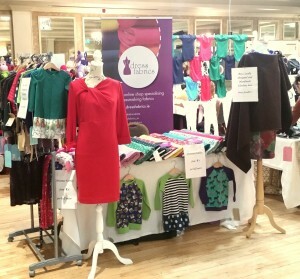 It is a great way to meet crafty people and chat about our products and service. 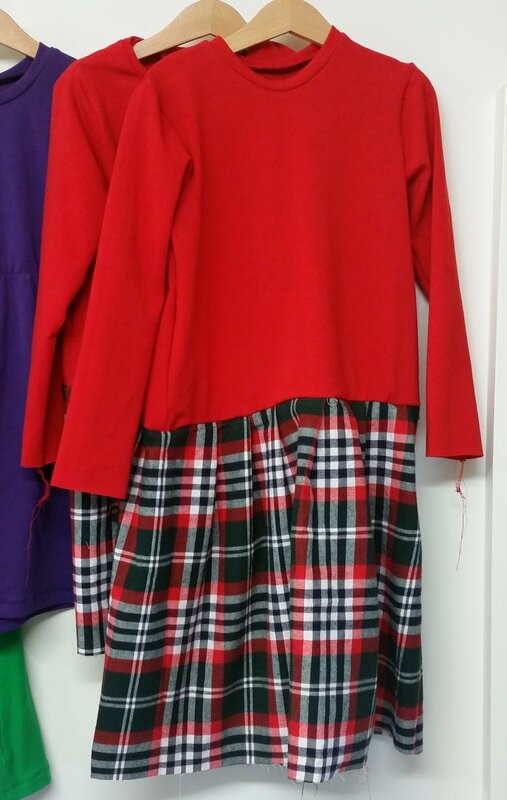 I made a lot of kids clothes to try and sell at the fairs as well as showcase the fabrics as well as a few adult dresses and capes etc. They were good as conversation starters and I was amazed at the amount of times that people were gobsmacked that I could make these garments myself – is sewing such a lost activity? This was countered by the number of young and older folk who were eager to learn how to sew and were taking part in evening classes in various schools and colleges around the country. 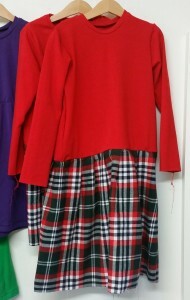 I also ventured into doing some dressmaking – accidently as a result of making the garments for the fairs. This turned into a busy enterprise coming up to christmas but I really enjoyed it. 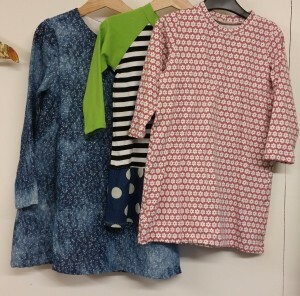 I made dresses for little girls and their mothers. 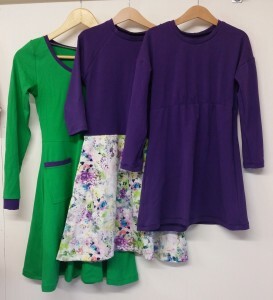 It was fun having the girls come in and pick their fabrics and ‘design’ their own dresses. They loved it too. The job satisfaction was immense. The girls came up with fantastic combinations of colours and prints. I think I will try and develop this area of the business next year. 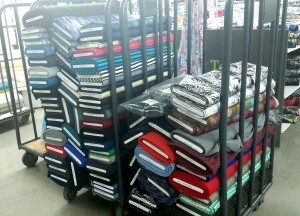 Fabric sales are growing every month , our main priority is to maintain this growth so we can keep adding in new fabrics. We intend to have suitable fabrics in stock for events like St. Patrick’s Day, Easter, Halloween etc. 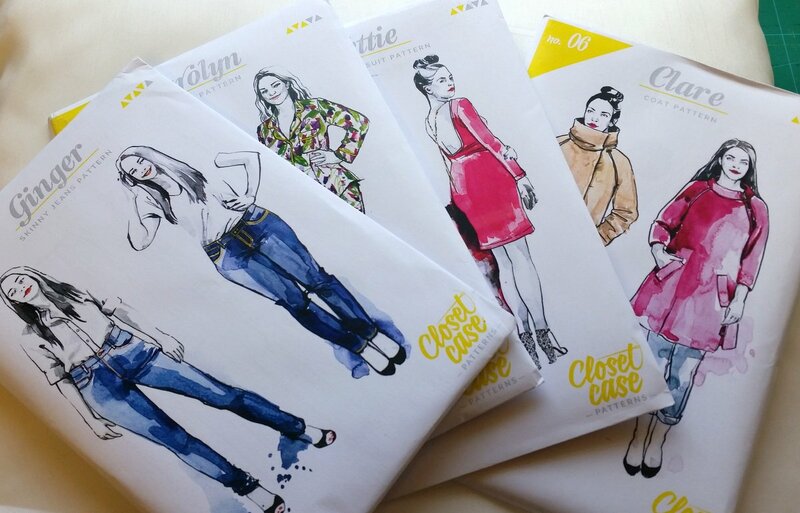 Just before Christmas we decided to stock patterns from Closet Case Files – an Independent Fabric Designer based in Canada when she printed some of her patterns. Up to now they had only been available as pDF format. I will keep an eye on other similar pattern designers and think about expanding the range of patterns available in the shop. 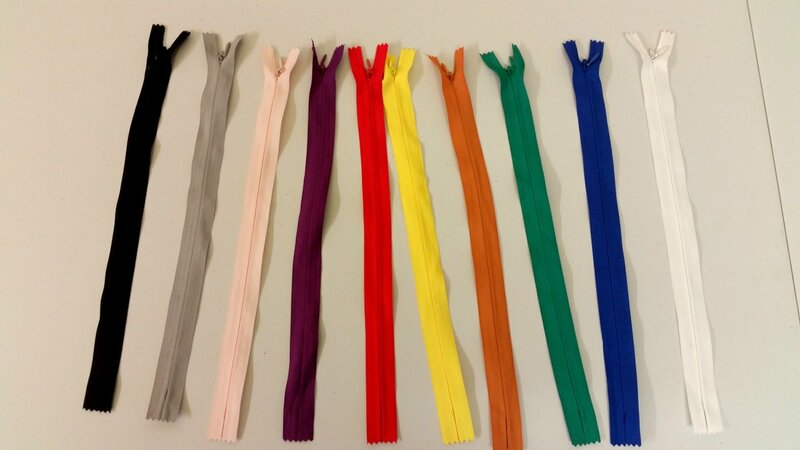 We have some threads, zips and interfacing in stock and I will keep working on increasing this area over time. 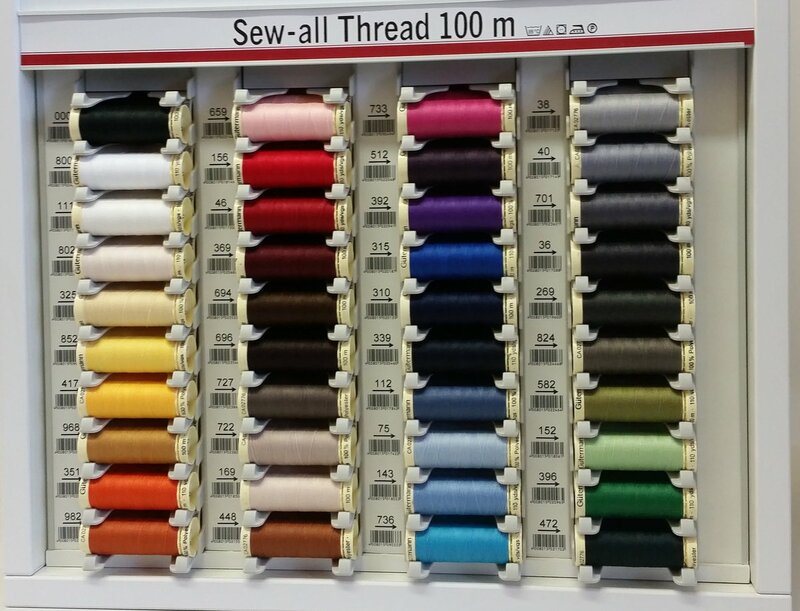 As soon as life settles down in the New Year – we will start our Sewing for Beginners Classes. Our workshop can cater for up to 4 students and their machines at a time. There will be morning and evening classes available. More to follow on this! To Sum up – 2015 – Dress Fabrics – A Review – it’s been an incredibly busy year and a very steep learning curve for us but it’s working and we are happy doing it which is the main thing. I can’t wait to see what new directions we will take off in 2016!! 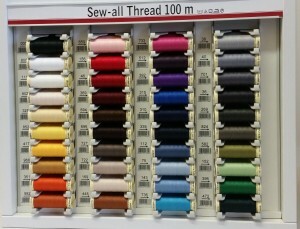 Maeve and all the team at Dress Fabrics. We wish you all a great 2016!! 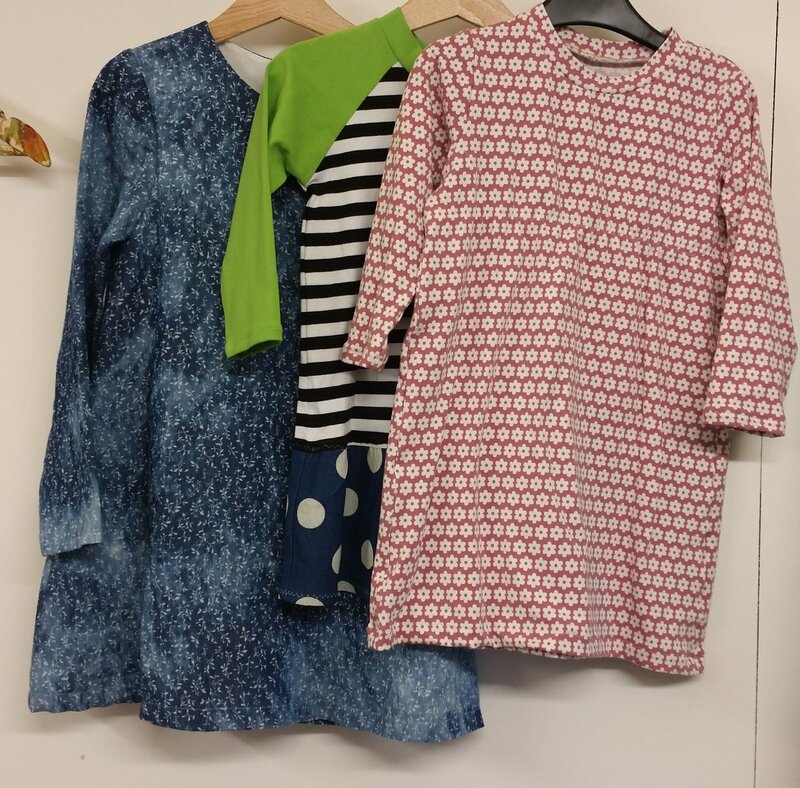 On a totally different note – here is a link to a great post on why you should just go and sew that thing you’ve been putting off for whatever reason! Thanks for reading and your comment, I hope to post a bit more regularly in 2016. Happy New year to you and your family.